British actor Daniel Craig is ready to be named as the longest-serving 007 agents in the history of the James Bond movie series, this week. As of this Wednesday, Craig will be the longest-serving MI6 agent with a record-breaking 4,527 days in the character. Prior to this, actor Roger Moores lasted 4,526 days in the same role. Daniel Craig stepped into the James Bond franchise in the year 2005 after replacing actor Pierce Brosnan. He then became a "Double O Seven" agent or James Bond with his debut Bond film, Casino Royale, which helped him win a BAFTA award nomination. Craig then continued his legacy in the second movie Quantum of Solace which was released two years after the first one. His performance in the franchise's third installment, Skyfall was released in 2012 and is the highest grossing movie of the series. 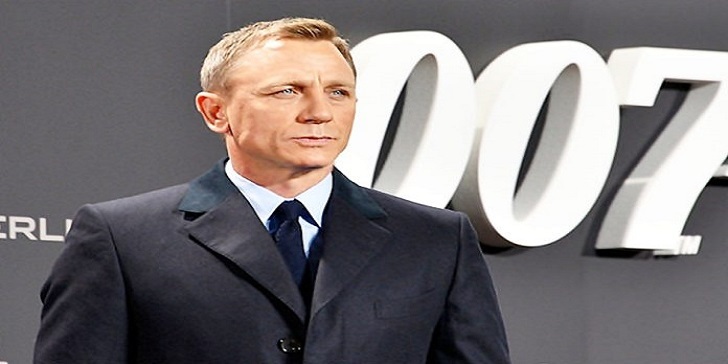 Daniel Craig also starred in his fourth James Bond movie, titled Spectre. He also had the honors of appearing beside Queen Elizabeth II as James Bond at the opening ceremony of London 2012 Olympics Games. Daniel Craig will be reprising the role for the last time in the movie Bond 25, which is set to be released in 2020.